FREETOWN (Reuters) - Sierra Leone's Kailahun district has gone from Ebola hotspot with up to 80 infections per week in June to a place with zero new cases in the last three weeks, giving hope to those trying to end the deadly outbreak. Close to Guinea where the West African epidemic began, Sierra Leone's first case appeared in Kailahun in May before spreading from the east, killing more than 2,700 people and leaving more than 9,000 infected. The overall pace of infection in the worst-hit country continues to quicken but Kailahun, which had no cases at all as of Dec 29 and just passed 21 days clear of new Ebola cases, offers lessons that can be copied in other districts where the disease is still raging. "We have been embarking on a robust surveillance system to manage all contacts, as well as effective quarantining of homes of confirmed Ebola cases or deaths," said Kailahun District Medical Officer Dr. James Squire. He said success in curbing the spread in the district could be attributed to multiple factors including the early establishment of response structures, proper coordination, the involvement of local leaders and strict respect for rules. The last quarantine on a home was lifted on December 30. Alex Bonapha, the chairman of the Kailahun District, said the council passed by-laws that made it an offence to wash dead bodies or converge in large numbers and the rules were rigidly followed by everyone. 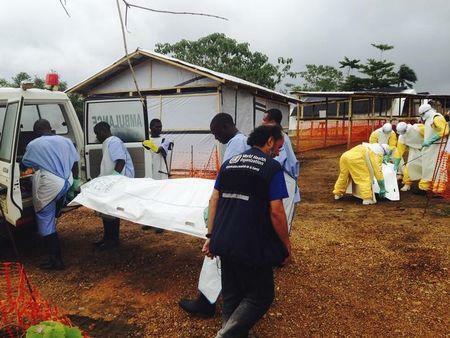 "We took all sick people to holding or treatment centres whether or not they had Ebola," he said. "We deprived ourselves of many of our pleasures so we would be where we are today and hopefully we have Ebola behind us." Like the rest of the country and the West Africa region in general, there was denial, ignorance and lack of information around Ebola when the first cases were reported. People carried on with traditional practices such as washing the dead and taking part in gatherings and funeral rites, contributing to the spread of the disease which is transmitted through contact with bodily fluids of the sick or deceased. "There was lots of community resistance. Some areas were not allowing response teams in," said Zabulon Yoti, a WHO team leader who arrived in Kailahun in mid-June when the outbreak was still restricted to the district. With the support of local leaders, the district Ebola Taskforce recruited, trained and equipped 20 volunteers. Some 300 other volunteers were charged with Ebola contact tracing and alerting response teams on any suspect cases or deaths. By the beginning of August it began to pay off as the number of confirmed cases started to level off. "What was really important is that we started to know where transmission chains were located and we were able to link cases to one another," says Dr Yoti in a World Health Organization report. "From being hunted by the virus at the beginning, we started to hunt it down, cutting each transmission chain we found." Despite the success in containing the disease in Kailahun a district of 465,000 where 228 people have died from the disease out of 645 cases, Ebola continues to spread Sierra Leone, especially in the capital Freetown and surrounding areas. The WHO said it is latest report on Wednesday that the virus was still spreading in West Africa, especially in Sierra Leone. The number of known cases globally now exceeds 20,000 and the death toll has risen to over 7,900. The government has announced plans to step up its fight against the disease with a launch of a major operation to contain it, particularly in the areas around the capital, restricting travel and gatherings over the festive season. In his New Year's Day speech, Sierra Leone President Ernest Bai Koroma lauded efforts made by Kailahun and also neighbouring Kenema where infection rates have also been on the decline. However, the head of mission for medical charity Medecins Sans Frontiere Adam Childs urged caution even though its Ebola treatment centre in Kailahun has been empty for two weeks. "We must be careful to call it a success just yet," Childs said. "Certainly the epidemic is not over even though we are relieved at present at the turn of events in Kailahun."